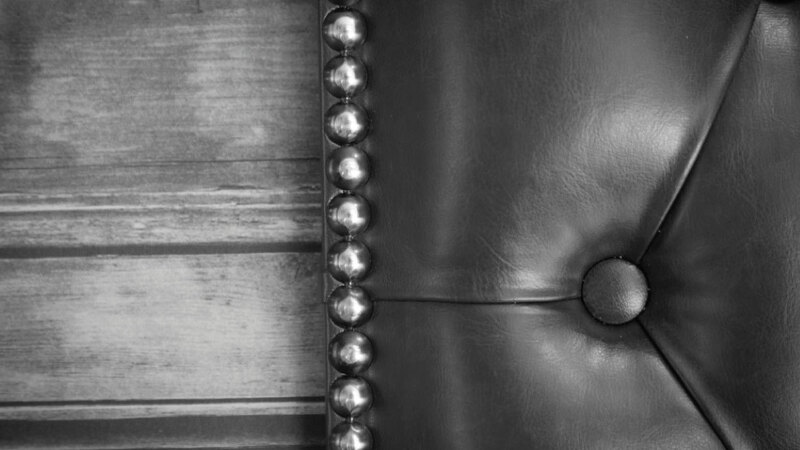 All of our accommodations are traditionally furnished with panelled feature walls, chesterfield headboards, custom made furnishings and stylish accents unique and luxurious in all rooms. The Salmon Inn is a favourite venue for sports lovers, business people and adventurers. We've done our very best to create a place where you can eat, sleep and enjoy the wonderful atmosphere. One of the priorities when creating our accommodation was to provide a shower that did not disappoint. It's important for the modern day traveller to start the day having had a great nights sleep in the room and refreshing shower. 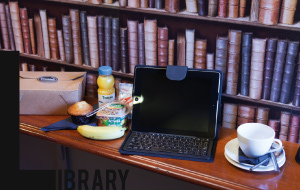 Our complimentary breakfast can be eaten in our library area or for those on the go, it can be taken with you. We know you'll enjoy your stay in our Galashiels accommodation. 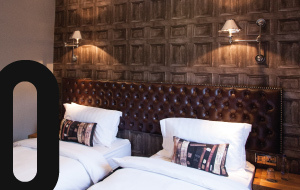 Experience contemporary luxury with innovative design and signature amenities when booking an accommodation at the Salmon Inn. The room faces the town clock and fountain, capturing the momentum of our town here in Galashiels. Snuggle into your bed, a luxurious ensemble with a feather-top mattress, Egyptian cotton sheets and goose down duvet (hypo allergenic bedding available). The "S" accommodation has a flat screen digital TV, complimentary WiFi, hair dryer and tea and coffee facilities. It offers a large separate walk-in shower with complimentary toiletries. This room can accommodate a double or two single beds. This our most spacious accommodation, with a super view of Bank Street gardens and the streets of Galashiels. 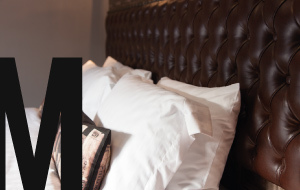 Snuggle into your bed, a luxurious ensemble with a feather-top mattress, Egyptian cotton sheets and goose down duvet (hypoallergenic bedding available). The "A" room has a flat screen digital TV, complimentary WiFi, hair dryer and tea and coffee facilities. It offers a large separate walk-in shower with complimentary toiletries. This room can accommodate up to one extra bed or cot. Our library area has been styled in such a manner the name really gives it away. This area can be used to enjoy your complimentary breakfast or simply to read a paper, book or for internet use. Somewhere to chill, when you're just not quite ready for bed. Overlooking Bank Street gardens, another spacious room with custom made furnishings and stylish accents. 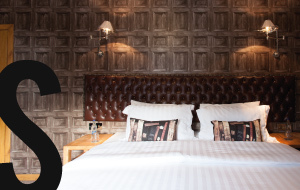 Snuggle into your bed, a luxurious ensemble with a feather-top mattress, Egyptian cotton sheets and goose down duvet (hypoallergenic bedding available). The "M" accommodation has a flat screen digital TV, complimentary WiFi, hair dryer and tea and coffee facilities. It offers a large separate walk-in shower with complimentary toiletries. This room can accommodate a double or two single beds. 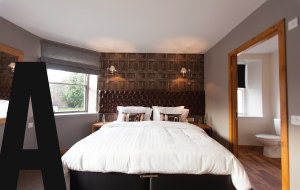 Small and intimate, this double room accommodation is towards the back of our Inn. Again, a luxurious ensemble with a feather-top mattress, Egyptian cotton sheets and goose down duvet (hypoallergenic bedding available). The "O" room has a flat screen digital TV, complimentary WiFi, hair dryer and tea and coffee facilities. It offers a large separate walk-in shower with complimentary toiletries. Tucked away towards the back of the Inn, this cosy room has a warmth that makes you want to snuggle up and let the stresses of the day melt away. A luxurious ensemble with a feather-top mattress, Egyptian cotton sheets and goose down duvet (hypoallergenic bedding available). 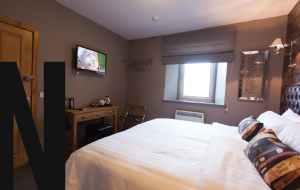 The "N" room has a flat screen digital TV, complimentary WiFi, hair dryer and tea and coffee facilities. It offers a large separate walk-in shower with complimentary toiletries. This room can accommodate a double or two single beds. The Salmon Inn Hawklord, 12 Nov 2013	The Salmon remains THE place to go for good pub food in Gala. Most recent visit was with colleagues for food after work and we all left very satisfied. The usual sort of food you would expect from a pub is all on offer - pie, fish n chips, burgers, salads, plus their very popular sticky chicken, all very good quality and we'll prepared. I had the steak pie which is fab, colleagues had sticky chicken salad and a burger. All scoffed. Reasonably priced, nice atmos, although can get busy. Staff are really nice. Outdoor seating if you fancy it. We'll be back.